Turn an underutilized cut into an unforgettable meal. 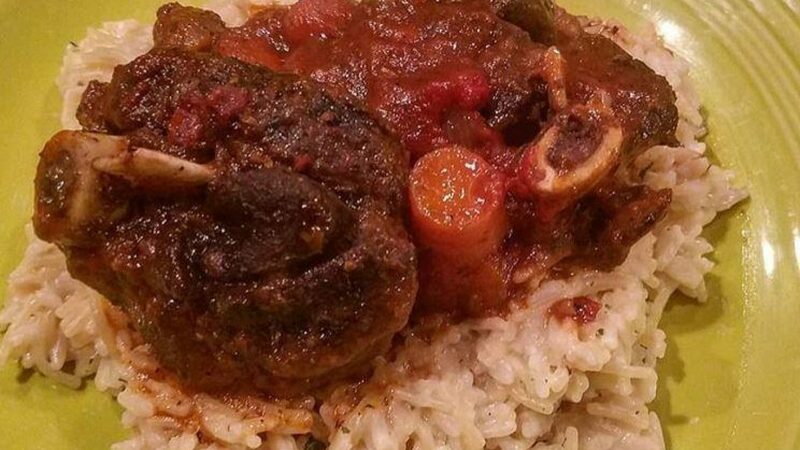 I came to preparing venison shanks pretty late in my hunting and wild game eating career. For most of that time, shanks (think of your forearm) were treated in a way common to a lot of deer hunters; the meat was stripped from the bone and tossed in the trimmings pile to be ground to burger. Don't get me wrong, I love venison burger; we eat at least 2 pounds of it a week in our home. That said, you can make some amazingly rich and flavorful dishes with this cut, and I’m confident that a shank will never see the grinder again in my kitchen. I'd be willing to bet that you will feel the same way if you give this recipe a chance. Two whole frozen venison shanks, sawed into 2 inch disks. A standard hack saw works great for this task. I tend to wrap the shanks whole in paper while butchering the deer prior to storing them in my freezer. I then saw the shanks into discs while frozen, letting the individual pieces thaw in my refrigerator prior to preparing the meal. 1 small bag baby carrots, chopped. 3 tablespoons of Italian seasoning (or 1 tablespoon each of individual seasonings like rosemary, thyme, and oregano. Roll shanks in flour seasoned with salt and pepper. Brown the shanks in the bacon fat in a hot, large cast iron skillet or other appropriately sized stovetop pan. Don’t crowd the shanks. Set shanks aside. Add butter and sauté onions, garlic, carrots and celery for 5-6 minutes over medium heat or until slightly browned. Add crushed tomatoes, tomato paste, Italian seasoning and ½ your beef broth and wine. Reduce heat and simmer for a few minutes. Add shanks on top of the bed of vegetables and enough wine and broth to submerge ¾ of the shank disks. Simmer covered for 4 hours, checking periodically to add additional wine or broth should the liquid evaporate too much. Cooking times will vary with the size of the shank. When the meat is just about ready to fall off the bone, it’s done. Serve over polenta, risotto or even mashed potatoes. Add a bit of the minced parsley on top for added presentation points. 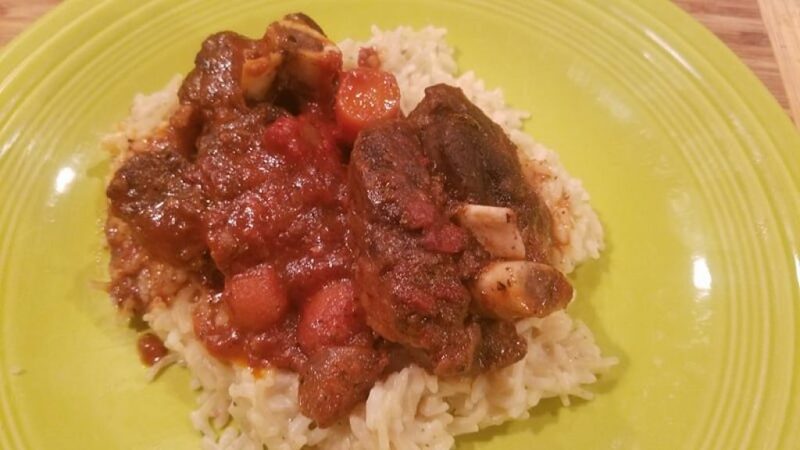 Although the dish appears "fancy" by most modern American standards, it has always been a working man’s meal as shanks were cheap and easy to obtain. 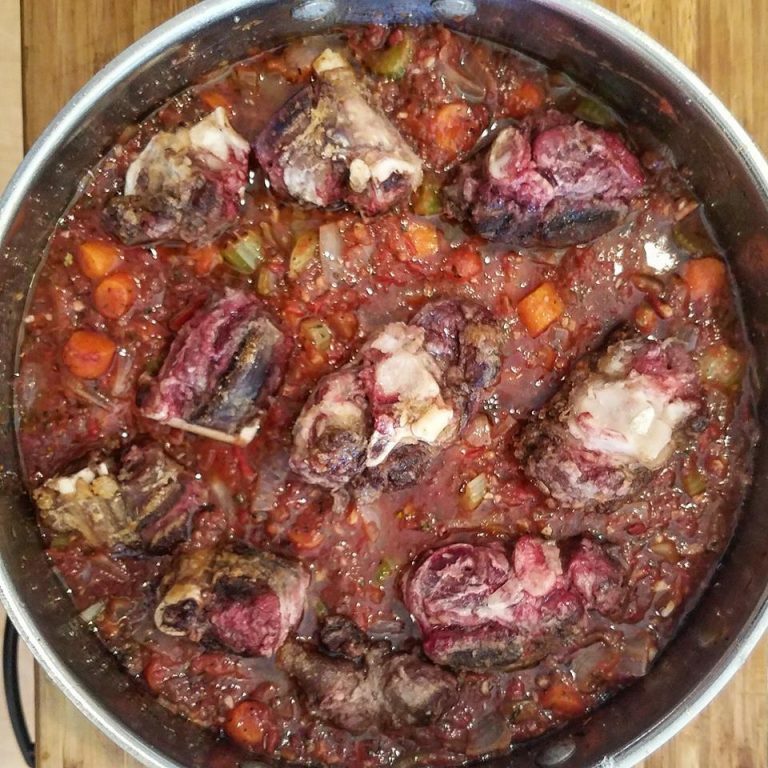 Delicious and super easy make, if your hunt results in a harvest make sure to save those shanks for this most excellent dish.